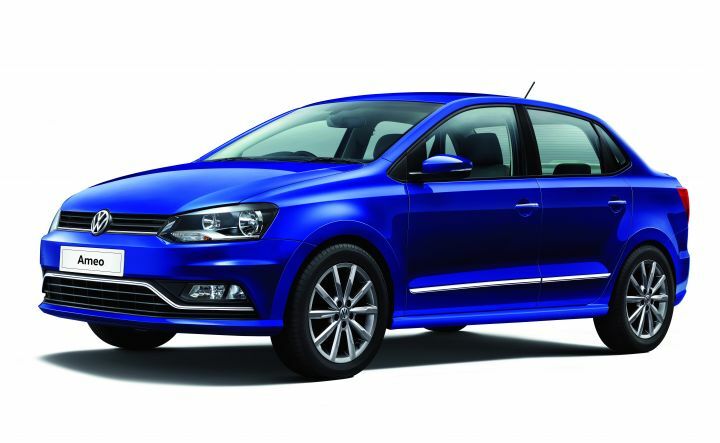 VW Ameo Corporate Edition is based on Highline Plus manual variant. Available with both petrol and diesel engines; lacks diesel-DSG option. New variant will be sold only to corporates and business owners. The Corporate Edition plugs the huge price gap between the Comfortline and Highline Plus variants of the Ameo. It is more than Rs 1 lakh cheaper than the equivalent Highline Plus variant, offering a good upgrade from the Comfortline variant without a substantial increase in price. For this price, the Corporate Edition trumps the Comfortline variant with features such as cruise control, rain sensing wipers, static cornering lights, climate control and a 6.5-inch touchscreen infotainment with Apple CarPlay and Android Auto. The Ameo is powered by a 1.0-litre MPI engine and a 1.5-litre TDI engine. The petrol motor produces 76PS and 95Nm of torque while the diesel unit churns out 110PS and 250Nm of torque. Transmission options include a 5-speed manual for both the diesel and petrol versions. Unfortunately, the Ameo Corporate Edition is not offered with the diesel automatic powertrain which features the brilliant 7-speed DSG. The Ameo competes with the Maruti Suzuki Swift Dzire, Ford Figo Aspire, the Hyundai Xcent, Tata Tigor and the Honda Amaze. With the launch of the Corporate Edition, Volkswagen hopes the Ameo will become an even stronger contender in sub-4 metre sedan segment which offers you plenty of value for money. The Ameo Corporate Edition hopes to cash in on a unique set of customers whose perks are backed by their employers, and in the process take the fight to the competition. This is a good offer but no change than the cash offer of last month as corporate edition is only on 2018 model. I enquired both in Salem and Bangalore VW. And the surprise part is that when you call VW customer care they got no idea about the launch of corporate edition. This is a good offer but no change than the cash offer of last month as corporate edition is only on 2018 model. I enquired both in Salem and Bangalore VW. And the surprise part is that when you call VW customer care they got no idea about the launch of corporate edition. Share your experiences with Ameo?